You’ve probably heard words like carat and karat get thrown around by television jewelry gurus and your own friends and family. If the conversation is taken out of context, you might even think that your loved ones are talking about the properties of the carrots on your plate. Understanding the difference between a carat and a karat is very important if you intend to sell your gold or have your precious belongings appraised. A carat is used to describe the weight of a diamond or other gemstone. One carat is equal to 200 milligrams. Smaller diamonds are described using points, and one carat contains 100 points. Once upon a time, traders used carob seeds and a set of scales to determine the weight of a precious stone. Carob eventually evolved into the modern carat. A karat is used to describe the purity of gold within an item. Metal alloys are often added to gold to increase the item’s durability, alter the color, and drive down the price. Gold is a very soft and yellow metal, so pure gold jewelry is very rare. However, the presence of other metals can decrease the value of an item, so it’s important to know the purity of your gold belongings. The karat value represents the percentage of gold that’s present in an item. To describe the purity of a piece of gold, the item is divided into 24 units. An item that’s 100% gold is 24 karat. A piece that’s 22 parts gold and two parts alloy is 91.6% gold or 22 karat. Twenty-karat gold is 83.3% gold. An 18-karat gold item contains 75% gold. A 14-karat gold item contains 58.5% gold. 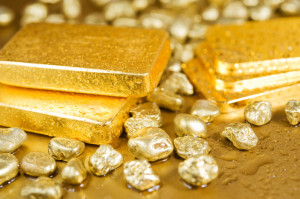 Ten-karat gold contains 41.7% gold, so a 10-karat piece contains more alloy than gold. The previously listed percentages are for some of the most popular karatages, but other levels of purity are present in jewelry and other valuables. Safe Haven offers information about other karatages. It’s important to note that items of different karatages should always be weighed separately. The value of each karat is different, and you don’t want to sell your gold based on the lowest karatage. If you want to learn more about the difference between a karat and a carat, or if you have other questions related to your gold items, visit us at Premier Gold, Silver & Coins. Our gold appraisal process is free and transparent, so you can sell your gold with confidence. For more information on these and our other services, visit us online.